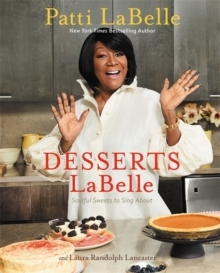 Patti LaBelle has been known for her cooking for years, first by her family and famous musicians, and then through her first cookbook, the New York Timesbestseller LaBelleCuisine: Recipes to Sing About, which has sold more than 300,000 copies. Today, it's Patti's baking skill that has the country buzzing. It all started with a fan's YouTube review of her sweet potato pie, which is sold nationwide at WalMart. Twenty million views later, everyone was rushing to get their hands on one. In just one weekend, Patti's pies were completely sold out at WalMart stores across the country. Would-be pie scalpers cropped up and the pies, which retail for $3.48 a piece, were selling on eBay for $45. Wal-Mart sold one pie per second for 72 hours straight. Now, for the first time, fans of Patti's pie can make their own and more Patti classics! Patti's dessert cookbook will be filled with her favorite recipes for pies, cakes, cookies, and puddings, as well as movingstories from her career and life in the kitchen. 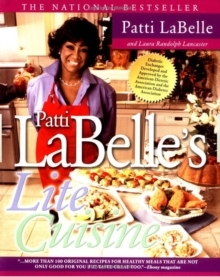 This personal cookbook will appeal to her legions of fans, fans of her cooking show, and the millions who were captivated by Patti's Sweet Potato Pie frenzy.